This Sought After End Unit Is Spacious, Bright W/ A Great Veranda And Lanai! Enjoy the ease of living in this spacious, bright and beautifully decorated home. This 3 bedroom house sleeps 8 with use of pull out living room sofa. This end unit is 1661 sq ft of living space with a total of 1,998 including the Veranda and Lanai which sets it apart! The extra side windows in this design, named the Arabella offers supberb bright, spacious layout with spectacular views overlooking the golf course. Just grab your clubs and head out the Lanai door to head to the 11th Tee Box and enjoy this amazing course. Enjoy superb amenities of this beautiful, lush community! Walking distance to Golf Clubhouse & a short stroll to the private pool. The Main pool is complete with Restaurant, Spa & Workout Facility. Steps away from the11th Tee Box! Walk right out of the Lanai and enjoy easy access to this beautiful TPC course! Great place and beautiful resort type property. Walking distance to the Brand New Beautiful Clubhouse! 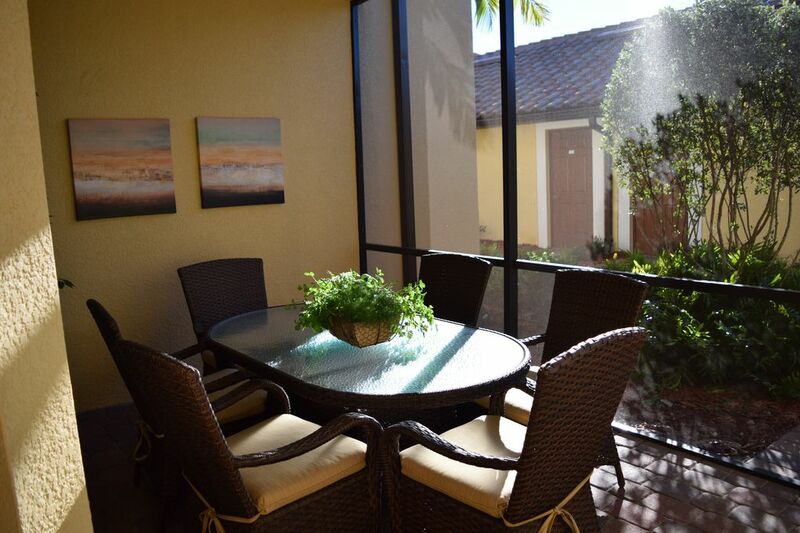 Enjoy the many amenities Treviso Bay has to offer or relax on the Lanai with views overlooking the 11th Hole! This End Unit is more spacious and brighter with side widows that let the light shine in and offers a Verannda and Lanai to expand your enjoyment and entertaining needs!